From Emil Jannings winning the first every best actor Oscar in 1928 for The Last Command through to the recent success of Dunkirk, war pictures have maintained their currency. Of course, their popularity has ebbed and flowed but it’s still striking that one should have been made at all in 1969. The Vietnam war was raging and the soixant-huites had only recently torn up both the streets of Paris and stuffy French academia. The Summer of Love was still a warm memory, as yet unsullied by Altamont. Yet into this time of heady idealism Play Dirty was born. Despite using World War II as a backdrop it is a very late sixties kind of war film, shot through with cynicism, style and a defiance towards authority. The premise is a good one, and one that fits comfortably with the times. We’re in North Africa, the middle of 1942, a time when Rommel was in his pomp and the Allies were on the back foot. British command has accepted traditional Army tactics are not working so their focus turns to the maverick Colonel Masters who directs behind-enemy-lines commando raids, his men almost entirely ex-prisoners. They are a cavalier mob who change from British to Italian to German uniforms as easily as Twiggy on any swinging London catwalk. Their mission is to go deep behind enemy lines to sabotage a fuel dump, thus grinding the German tanks to a halt. It’s an act of suicide that only those saved from death row would take on. 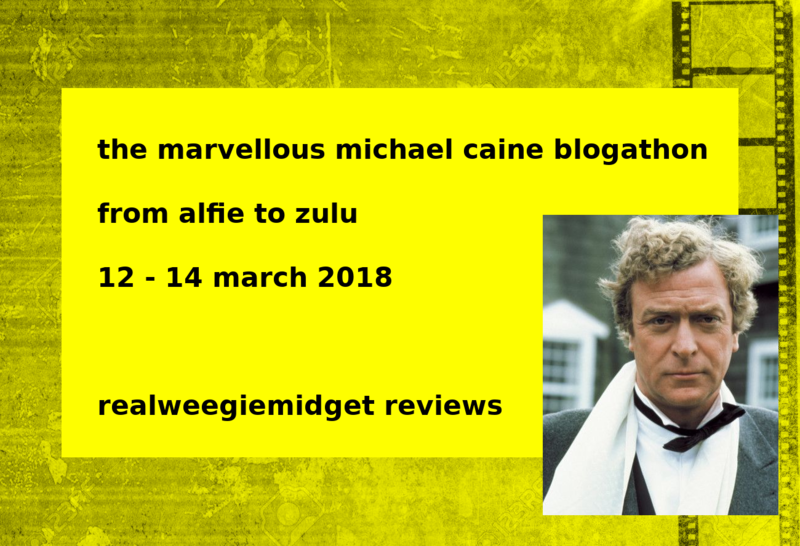 Caine plays an executive from British Petroleum, expecting an easy war well away from the fighting, suddenly thrust into command of the group by way of his energy expertise. You may, of course think this just sounds like a cheap rehash of The Dirty Dozen. Sure, there are similarities in the criminal aspect and the desperation of the mission but the tone here is quite unique, melding the British war picture with the late sixties zeitgeist. In fact, the film it has much more in common with is Billy Wilder’s tremendous Five Graves to Cairo. Actually, the whole thing acts as a rolling homage to the Michael Caine filmography, a sort of greatest hits in miniature. His early moments of easy arrogance shades of both Lieutenant Bromhead in Zulu and the eponymous Alfie, his sparring with Colonel Masters recalls The Ipcress File, not least because his adversary in both is played by Nigel Green and there is even a tense cliff edge scene involving a truck and a precious cargo that prefigures the finale of The Italian Job. Along the way there are a number of absolutely terrific set pieces – the group must haul their trucks and jeeps up a mountainside, with every creak of the cable and every teetering box of cargo drawing beads of sweat from the team’s collective brows. Later they must scavenge for parts amongst a booby-trapped junkyard site and, in a scene that mirrors director Andre de Toth’s previous film work in Day of the Outlaw, stride through a minefield during a sandstorm, while each gust of wind uncovers more of the desert’s deadly bounty. I’m not sure Play Dirty works as well as it should do, so it’s no surprise it’s a semi-forgotten entry in the Caine canon. It’s a film at times pregnant with missed opportunities. The supporting cast is filled with authentic characters, Arabs who speak Arabic, Greeks who speak Greek and so on, but not much is ever done with them. Indeed Enrique Alba doesn’t deliver a single line of dialogue, coasting through the film on the radiance of his smile alone. Admittedly it’s a hell of a smile. There’s a confusing moment when the crew spy another Britsh Army patrol that may or may not have been sent out to usurp them (it’s never explained) and there is not much character redemption by mission’s end. It also gets bleaker by the minute and by the time the credits roll the film’s nihilism is nearly unbearable. But with a sage-like de Toth in charge and the undulating, dune-filled desert and it somehow hangs together. A group of ex-cons must go behind German lines in the desert and blow a fuel dump. Michael Caine reluctantly leads them. Thanks for joining my blogathon with this review of a film I hadnt heard of, but now will be seeking out thanks to your review.